Enhancing the efficiency and productivity of tasks throughout manufacturing, quality assurance and application development, the Olympus DSX series has been upgraded to enable improved measurement results in a shorter time frame. 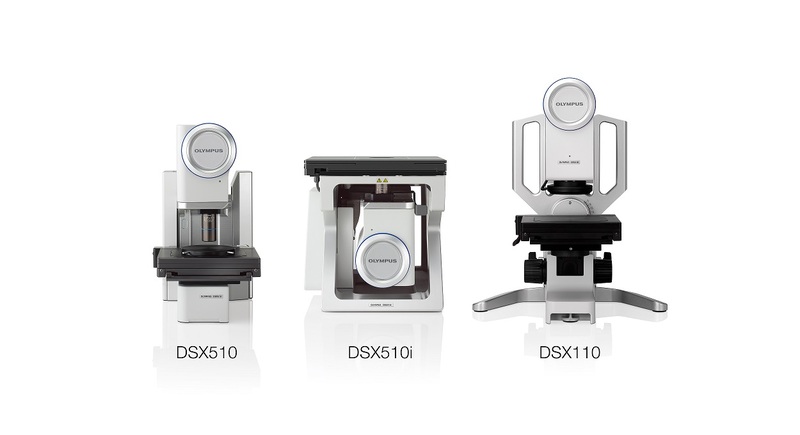 The series includes the new wide zoom DSX 110 and two high resolution systems – the upright DSX 510, as well as the inverted DSX510i microscope. Incorporating the latest in optical and digital technologies, the DSX digital microscopes enable fast and detailed non-contact inspection and measurement, providing a complete investigation, measurement and reporting platform that meets the needs of the industrial workflow. Precise measurements are key to industrial applications, and building upon the existing accuracy and repeatability of measurements along the XY axis, measuring in the Z-plane now offers guaranteed repeatability with the DSX 510 and DSX 510i. Also facilitating detailed inspection of larger samples, the image stitching function has been revisited, with advanced stitching technology completely removing even the smallest artefacts to yield the highest quality image. In addition to quality, workflow efficiency is also enhanced with the new models through fast image acquisition, where 3D acquisition using the extended focal imaging (EFI) function has been upgraded to boost speed by nearly a factor of two. Complementing the upgraded imaging capabilities of these new systems is the well-established intuitive operation of the complete DSX series, where accurate inspection no longer depends on in-depth microscopy knowledge. This includes the easy-to-use touchscreen GUI and innovative digital tools such as the ‘Best Image’ function. Image acquisition is easy with a selection of preview images automatically generated for each observation technique, allowing even unexperienced users to quickly select the best imaging approach. Drawing from renowned Olympus optics and the latest advances in digital technologies, the new systems now enable faster and enhanced quality results for operators of any background.